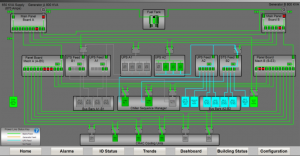 PLC and SCADA systems play a vital role in the modern industrial and automation environment. From the individual PLC controlling a discrete plant to a site wide integrated PLC and SCADA system VE-Electrical is able to provide a total PLC and/or SCADA system solution. PLC Installation in Northgate Volt Edge has a wide range of hands-on PLC and SCADA expertise and has performed projects utilising most major PLC and SCADA vendor’s equipment.